The Everett Silvertips (@WHLSilvertips) in conjunction with the Western Hockey League announced today the Silvertips have been named recipient of the Western Conference WHL Business Award for the second consecutive season. The Silvertips are a finalist for the WHL league award, along with the Lethbridge Hurricanes (Eastern Conference nominee), and the winner will be named recipient at the 2019 WHL Awards on Wednesday, May 1 in Red Deer, Alberta. 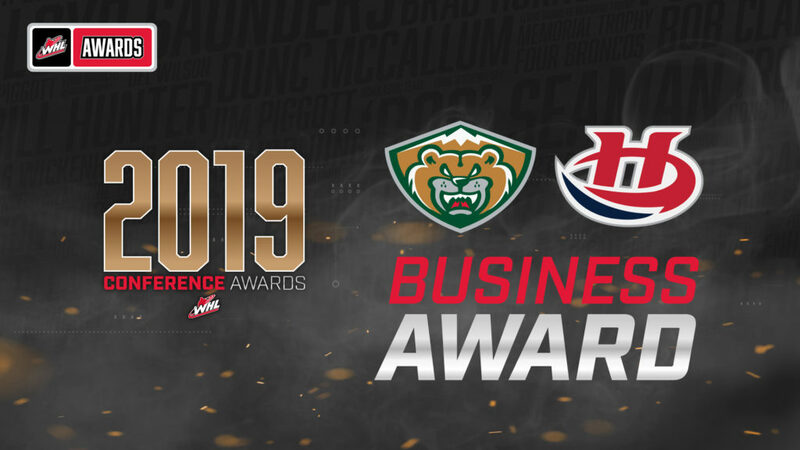 The Silvertips were nominated and named Western Conference recipient through several business criteria including ticket sales, game night promotions, presentation, community involvement, broadcasting, and digital media. 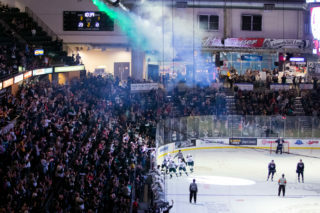 Continuing to enjoy rapid growth in all major business categories in 2018-19, the Silvertips drew 190, 872 fans through the turnstiles at downtown Everett’s 8,134-seat Angel of the Winds Arena for its largest regular season turnout since the 2010-11 season, and surpassed three million fans at the box office in 16 seasons of franchise history. 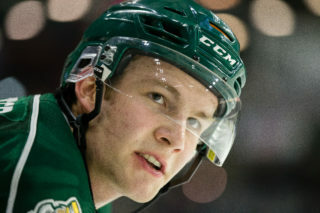 The Silvertips experienced a 13 percent increase in home attendance over the last two years and a surge in capacity crowds in the second half of the 2018-19 home schedule, including a streak of over 6,600 fans in the final seven home games of the regular season. The Silvertips had a 93 percent renewal rate in season tickets this season, over 500 new seat deposits and 25 new premium corporate partners and new creative sponsorship initiatives. 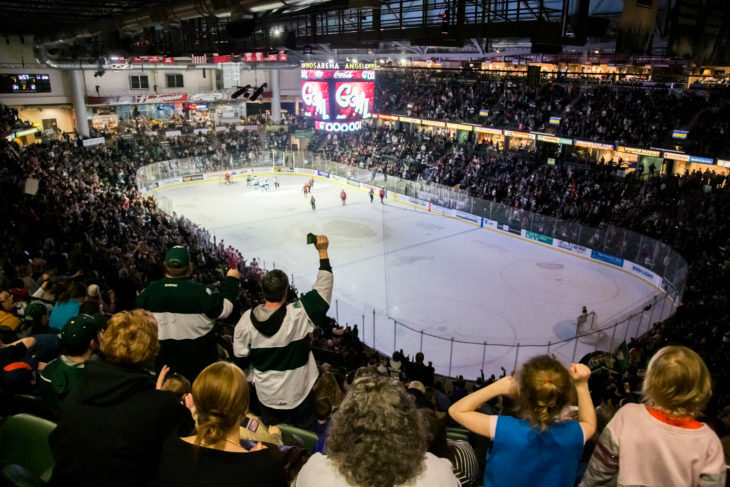 As an innovator in game-night promotions, presentation, and community involvement, the Silvertips have executed a number of successful campaigns in the 2018-19 season. The Silvertips visited schools, hospitals, and additional community events, including a mission to deliver messaging on anti-bullying, healthy lifestyles, and education enhancement at local Puget Sound schools. The Silvertips visited cancer patients at Providence Regional Medical Center, as well as helping distribute plush toys to local underprivileged families after December’s Teddy Bear Toss game. This season’s Army Navy Game delivered the return of “Tip A Tip” at all local El Paraiso locations, helping raise over $10,000 for the Navy Recruiting District Seattle First Class Petty Officer Association, helping improve communities and enrolled sailors within their command. During the game’s first intermission, which drew a standing room only total of 8,387 fans on Mar. 2, local enlisted sailors were sworn into service for the U.S. Navy during an on ice ceremony. 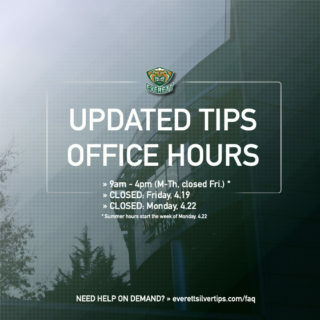 With a continuous approach to actively engage their audience on social media, the Silvertips have continued to create awareness of the WHL and the Silvertips brand. Over the last year, the Silvertips account on Twitter, @WHLSilvetips, experienced a 19 percent growth of followers, on Facebook (facebook.com/everettsilvertips) experienced a growth of 654 percent in enagement, and on Instagram (@Everett_Silvertips) the account experienced a 55 percent boost in followers. 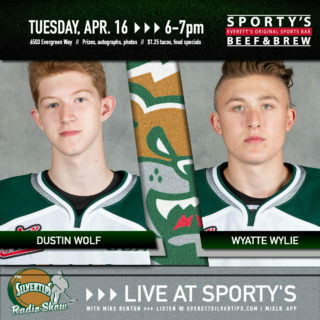 On radio, the Silvertips continued to carry game night coverage on 50,000 watt KRKO (1380 AM and 95.3 FM), while streaming the Silvertips Hockey Show from Sporty’s Beef and Brew via www.everettsilvertips.com. The Silvertips, seven-time U.S. Division champions of the Western Hockey League, return to play for Game 4 of the second round of the WHL Playoffs in Spokane tomorrow, 7:05 p.m. (KRKO / TuneIn / WHL Live). 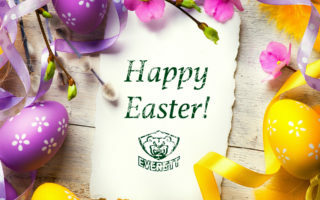 Silvertips playoff offers and deposits for the 2019-20 season are available at www.everettsilvertips.com/tickets.